Is This The Start Of Your New Life? Hi, I’m glad you’ve made it! I’m Michael Granados a former collegiate soccer athlete and a previous horrendous back pain sufferer. Before I fully welcome you in, let me tell you that this is not going to be about what is the best back pain treatment, rather multiple different ones! Let me welcome you to the premier platform for finding the best back pain treatment reviews for you and what you will not(and I guarantee) you will find elsewhere at this MAGNITUDE…That’s why I’m so excited for you! Today’s going to be all about YOU, and helping YOU learn more about the best of the best back pain treatments on this great mother earth, but that will not be all; because I’m going to up it one more. I’ll be adding the best pain relief products for your back pain right here in this same article. You have your ups and downs with it, but at the end of the day you both support one another. So why not give it the best attention that it deserves? It’s proven that over 80% of the worldwide population will get a back pain at least once in their lives, and 22% of them will lead into a chronic pain, holy smokes! That’s right, a wildfire is on the up and coming. How many times have you slacked or maybe thought that what you were supplementing your back with was the right way to go about it? Don’t worry you’re not alone, I also had this all mixed up at one point in my life. One painkiller after the next, one conservative treatment after the other, and one more lame excuse time after time, I found myself compounding my interest in the “I will never get out of this situation” perspective. BOY DID I FEEL LIKE A FAILURE! But don’t be mistaken, because these years of downfall, taught me a valuable lesson, that you can’t succeed without falling, not once, not twice, but at least 3 times. It took time for me to learn how to get over my small aches and pains, and get over the constant chronic lower back pain and sciatica I once in a while have now. My back feels like it’s back to life, and that’s what I hope to show that you can achieve. Before we move forward, can I get your honest word that you will not slack and put your best effort in front? That’s what I need from you, your best effort. Nothing comes easy, and neither did these treatments steps I’m about to show you. Keep in mind as we move forward, repetition is KING. Your habits will only get better up from here, and you’ll soon reap the rewards of your efforts. Have you visited one of your with what seems to feel like 100’s of medical professionals, and they told you that you needed to exercise more, eat better, have the right attitude? Too many times right? What are they, your parents? Sure seems like it. This is exactly what you need to hear and it needs to keep ringing in your ear like a mosquito circling your ear canal. But there’s something missing. This treatment 4 CORE group is concerned with giving you the organic and or more natural healing powers that will keep your back in the long term in better shape. Ahh Man!… I have something I’m really upset about, that I need to get of my chest first. BIG PHARMA is just one smile around the corner. It’s amazing how many agencies and people can advocate for these big pharmaceutical industries, but money talks am I right? Or did I miss something? Wouldn’t you know it, exercise makes the top of the list. Maybe you can guess why? But If you can’t don’t worry, I’m about to explain. Ready set. Action. … And MUCH MUCH more! If you have an aching bad that is really persistent, and turns out to disrupt your daily activities, exercising is a must, and I can’t stress that enough. When pain becomes a chronic problem, it’s essential that your muscles and body gets fluidity. Keeping to low impact activities is better than opposed to hitting a high impact one. The reason I say this is that, you need to take care of your muscles, joints, and especially your spine. If you have a herniated disc or more accelerate conditions such as Sciatica, doing high impact exercises can aggravate and make your pain far worse. You can check out our extensive exercise page that’s all about properly exercising, by clicking here. Taking care of your body by exercising is just as important as knowing how to eat better. You can be one way away from causing more pain and inflammation to your body and you didn’t even know it, . YIKES! SPIKES! … Are all great additions, and tasty ones might I add. You can see more about how to not only eat healthier, but find ways to shed off some weight effectively in our food page by clicking here. At # 3, cognitive behavior is really when your attitude hits its altitude, and you realize that sky is not the limit. You’re not held by boundaries, and you feel a sense of release from your pains. From test and trials, what happens is that you can’t fully acquire a sense of cognitive behavior unless you adapt to your other key elements in exercising and sourcing your body with nutritious anti-inflammatory foods. Given these capabilities, you’ll begin to fall away from pain, and you’ll see how your body changes over time. It’s truly an amazing feeling, I kid you not. Your mind responds well when its seen and been used to discipline. With continuous repetition of treating your mind and body right all at the same time, you’ll feel like you can overcome anything. These are the constant battles for you and your chronic lower back pain. Breaking past these barriers are not always an easy task, and it takes effort to want it. That’s why I made sure to give you the best possible solution which comes in the form of a book. You can find out more about cognitive behavior within our best back back pain treatment books right here. I’ve highlighted this and I’ll continue to preach it, go natural! Why? Natural remedies are going to not only eliminate your inflammation, they will prevent it from knocking back at your door. When you add natural goods to your body, you are detoxifying your body of harmful radicals and inserting it with strengthening molecules to keep you at your best at all times. Just imagine if you had a painkiller like Oxycodene for example. And after taking a few of these pills, you felt sick and you couldn’t do a single thing about it. Heck, you just quite possibly lost a day of exercising, a day of eating well, or even a day to improve your meta cognition(your mind). In less time, it’ll be a setback, and you’ll have to adjust back to your foundations. What natural remedies do that most chemical toxins don’t are that they supply you with energy. One day, I took a good a small amount of essential oils, and BOOM! In a matter of seconds my back was feeling better, and I had energy to get on with the rest of my day. See our latest and most natural ways to stay healthy by clicking here. Now that you’ve learned the best back pain treatments on a ground level foundation, It’s time to see what best back pain products can aid in the help for these treatments. 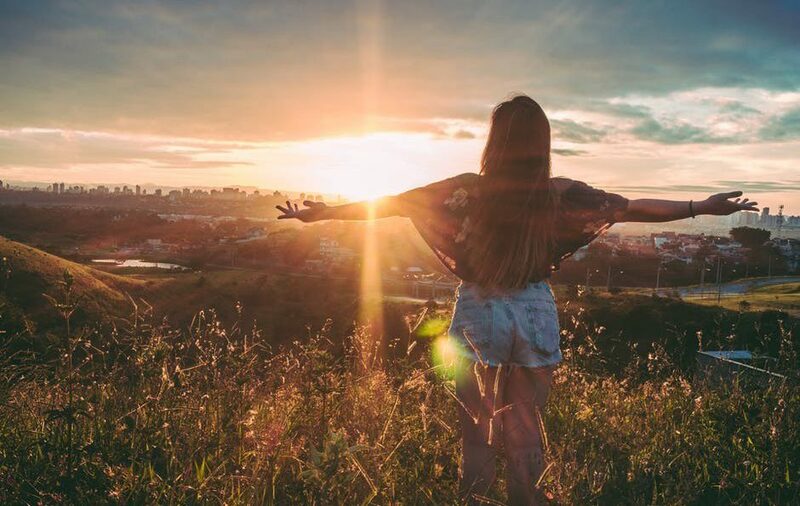 Here at Remove Back Pain, we understand that everyone is at a different place in their healing journey, and from my years of experience I can add that there are ways to get around your back pain and adjust properly. At times that can mean the use of products, but just be aware that products are treating your symptoms and not the root of your cause. The last section was all about how you can tackle your root of the cause(which is inflammation and muscle imbalance). In this next addition, you’ll see how some products can get to the root of your cause, while others will offer you great support and balance. You bet, that’s the road we’re rallying towards. When you consider a product, you need to see if it can offer you versatility and efficiency. What I mean by that Is that you should use them when you want, how you want, and where you want without it breaking down, or giving you what you need to target. Whether you’re going to a Pilates class, a yoga class, or going to get a massage for your muscle tension there are some simple items that can get you through your day without the hassle of leaving your house, work or vacation. Remember to consult with your doctor if you have chronic back pain. Yoga has made its way to #1 on our list because whether your pain is small or large, exercise and stretching are the two best heavy hitter combos you can do for your back pain. Vinyaga therapy for the low back is great style of yoga that will suit small and especially later stages of chronic lower back pain. It’s an affordable yoga workout DVD that can offer you the benefits of strength and mobility. The reason I say this is that there is no other video out there like it where you will get the benefits of stretching, while getting a workout in at the same time! Plus, it will not cost you an arm and a leg. One of my favorite features of this Yoga DVD is its guidance. You won’t have to worry about getting the best help because of this. Gary Kraftsow is one of the best leading physicians int he world, and his highly controlled and therapeutic lessons, make it feel as if you were right there with him. Large and specific lessons prevent you from finding it hard to perform a pose. You will not have to be concerned with moving your body the wrong ways, as you get to see how others perform the moves too. The DVD is very reliable and easy to use. It’s another feature that makes sure you can follow the most up to date stretches, and when it comes to inserting and turning off your DVD, you can just push the pause or stop button, tuck it away and come back to it later. This product save time too. Another great reason why it will save you time and money from visiting your chiropractors, physical therapist, and doctors time and time again. See Best Yoga Styles And Exercises for Acute and Chronic Lower Back Pain you can do at home. Now I know what you’re possible thinking, creams really? You’ve probably tried everything out there like I have, and what most of them fail to do is address the actual root of your cause. Well I have something you need to brace for. Penetrex pain relief cream is here. What this pain relief cream does than no other can is it gets right to the root of your cause, and that’s inflammation. If you’re in the market for a little pricier but still very affordable pain relief cream, this is the one you must consider. The reason I say this is that it’s all natural properties, and it’s the best joint pain reliever for chronic pain today! One of my favorite features of Penetrex is its ingredients and by far. You can rest assure that this cream has 100% natural ingredients, and they do not let down. Up till now, it was labeled as “the best kept secret”, and I can see why. You get ingredients like boswellia, turmeric extract, frankincense, MSM, Glucosamine, peppermint, Ginger, and my goodness, so much more! Very large known herbs and essential oils prevents it from being faulty and unsafe. You will not have to worry if you are getting the right mix of chemicals, and having the effects you would get from taking herbs and essential oils alone. In fact, the essential oils in this container are much more powerful than one essential oil by itself. Once you use it more often, you’ll use less and less of it. At first it’s best to use 3-4 times a day for about 7 or so days, and if you can do this, you’ll notice how you need it less and less. It doesn’t work right away, but that’s what makes it better. The lid is very reliable and easy to manage. This is another feature that will make sure you keep your cream in the container and not all over the ground. This product has a great smell. It’s just another reason that will not aggravate you, and not cause an odor. There are people who will not hesitate to spend a lot, for for having the best tens machine. If you’re one of them, you should check out the iReliev Tens + EMS muscle Stimulator. It’s really an expensive 2 in 1 combination unit that combines two therapies in 1 device. The reason I say this is that the tens mode will block pain signals, while the EMS will help strengthen, and recover your muscles quickly and let them heal quicker. Plus, it won’t cost you the extra devices to help manage all these different areas of pain. One of my favorite features of the TENS and EMS unit is its 14 preset therapy modes. You won’t have to worry about getting versatility because of this. The integrated(P1-P8) generate a safe and effective output sensation feeling that will provide you with blocked pain or increased endorphins, which as you know is a natural pain reliever. What’s better than natural pain relief? Large use for muscle recovery after your workouts prevents your body from running into more aches and pains that are associated with exercising. You will not have to worry about getting an increased supply of blood-flow to promote your muscle recovery, strength and performance because of this. Once you apply its therapeutic treatment, the treatment time last up to 60 minutes. This ensures you get the most amount of time healing effectively, and less time worrying about if it will die out on you. This product is Physical therapist endorsed. Joel Noel, a licensed physical therapist states that: “I believe iReliev is uniquely designed to offer RX strength pain relief & muscle conditioning.” -Noel. Another great reason why this dual tens and ems machine are convenient a must have from professional sports athletes to the day to day average person. As you can see, there is so much to love here. I played sports for years, and in college, tens machines were a great piece of help. Now that I’ve tried out and tested the iReliev for myself, I will seriously need to get one for myself. If you’re not on a budget constraint, and you a want a combination of both intense and most heat, then the Pure enrichment PureRelief heating pad is the one you must consider. The reason I say this is that this product provides fast and efficient temporary pain relief from associated pains like arthritis, muscle spasms, and inflammation caused by either a strain or tension. Plus, it looks and feels amazing too! One of my favorite features of this heating pad is its 6 therapeutic heat settings. You won’t have to worry about getting the right hit of temperature because of this. The digital LCD controller adjusts adjust heat easily to accommodate your comfort level. Very long extra- long cord. The heating pad gives you an extra 9 feet to work with. It will help you use it easier from the comfort of your bed or chair. Once you apply it to your area of pain, you’ll immediately get an increase of blood flow to reduce your pain and muscle spasms. This ensures you get the deepest amount of penetration for better muscle relief. This product comes with a 5 year warranty. Thanks to their industry leading warranty program, your satisfaction is guaranteed. This just another reason why its so awesome and a must have! If you’re planning on saving money while at the same time getting the up and coming leading best back massager, then the Zyllion Shiatsu back and neck massager is the one you should highly consider. The reason I am saying this is that it has an awesome heat feature in it. it works greater than a spa, as it will give you a luxurious massage right from the comfort of your own home. Plus, it will not cost you an arm and a leg! One of my favorite features of this back and neck massager is its 4 deep kneading shiatsu massage nodes. You will not have to worry about relieving your aches, knots and muscle tension because of this. The massage nodes are set up automatically reverse directions during each individual massage session. Top Quality Textured Leatherette prevents it from breaking and wearing down, and from being hard to clean. You will not have to worry about getting it stained, or beat up after constant use because of this. Once you turn it on, you’ll be able to add a heating function that adds an extra touch of muscle smoothing intensity. This ensures you can relax by enhancing proper blood circulation throughout your area of pain and all around your body. All you need to do is sit back, press the ON button and just let your stress simply melt away. The Overheat protection and 20 minutes auto shut off is extremely useful, reliable, and easy to use. This is another feature that will make sure if the temperature exceeds its adjusted heat, that the safety mode will activate and shut off automatically. This product has ultra compact slim-design with a power adapter and DC car adapter. The ultra slim design is great because you can perfectly let it counter around your neck, upper back, lower back, calf, and thigh areas without a problem. And the adapter has both a 110-120V & 220-240V electrical outlet. A nice addition if you ever need to use it in your vehicle, just adjust the straps around your seat, and you will be good to go. 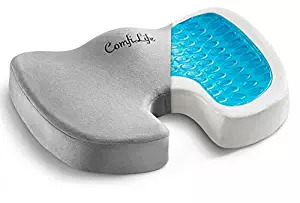 A relaxed back is a stress free, and pressure free one, and with a seat cushion from ComfiLife, you will always be ready to take a seat in comfort. If you’re in the market for a treatment that will cover your lower back sciatica, or coccyx pain. 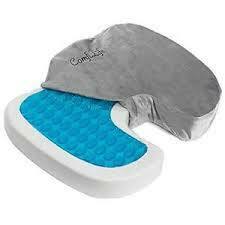 then the ComfiLife Gel Enhanced Seat Cushion is the way to go. The reason I’m saying this is that they are ergonomically designed in mind to support your lower back under any circumstance, whether you’re at home sitting on your couch, chair, at work, in your car, traveling, and plenty more. One of my favorite features of this cushion is its ergonomic contour design. You will not have to worry about finding relief for your lower back, sciatica, tailbone, and any spinal issues like a herniated disc because of this. And best of all is that it promotes proper spinal alignment and a health posture. Very high density memory foam(100%) with a topped gel cooling layer that’s extremely durable prevents it from wear and tear. You’ll be able to spend less time worrying about how long to sit for, and more time sitting to get the best pressure relief you can. Once you sit in you’ll immediately feel the right amount of heat and weight response. This ensures that your cushion will feel softer in warm and firmer in cold temperatures. The zipped cover is very reliable and easy to use. This is another feature that makes sure you can easily remove the cover, and place it in your washing machine without trouble. This product also comes with an easy transport handle. It’s another reason why it’s so portable, convenient, and must have. There are some people who will not hesitate to spend a little more to get the best treatment they can, and if you’re one of them, I suggest you take a hard look at the BEMER. It’s the perfect solution for everyday professional medical practice, and is the inclusive package for a ll your physical vascular therapy needs. Physical vascular therapy will improve your microcurculation and promotes your blood flow found in the smallest of vessels. A comprehensive set of application modules and accessories prevents the confusion of how to operate one. You will be able to directly signal the control unit to reach your areas of the body that need treatment. Once you turn the touch screen panel on, you can go to the edit mode for individual settings. This will ensure you can create your own indication-specific programmes and store them in up to 9 memory location. It’s an easy way for you to store your programmes. The sleep programme with time control & alarm are very reliable and easy to use. A great recovery process takes place during the nightly resting phase, and BEMER has developed a specific signal configuration for your sleep. And thank to the time control, you can customize the sleep programme to suit your own individual sleeping habits. This product comes with 3 set programmes. This is another reason which will allow you to either increase or decrease the intensity of your treatment. If you’re in the market for an inversion table that can give you the best of both durability and pressure relief for your lumbar spine, then look no further than Teeter inversion. The reason I’m saying this is that its the only FDA registered inversion table out there. You”ll be ensured you’re getting quality and safety. One of my favorite features of this inversion table is its More relief adjustment. You will not have to worry about getting the right amount of comfort, stretch and optimized pain relief for your back because of this. It’s contoured bed will flex for comfort, and its surface just feels very smooth and relaxing from up to bottom. Very large and plenty of acupressure nodes(8) prevents your back from feeling pressure. 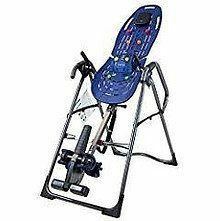 The best thing an inversion table does is hit your trigger point in your lumbar spine to give it the right relief. The teeter will do this all while creating a Lumbar Bridge with adjustable arch for added traction and support. Once you invert, you’ll feel a large stretch. This ensures you get the best decompression between your vertebrae and disc, and allowing your disk breathing room while allowing it to supply back with water and nutrients. The wrapped around ankles and length adjuster are very reliable and easy to use. If you’re a shorter person, you can change the length to be shorter, and if you are a taller person, simply adjust the length for a better comfort. It’s a very affordable foam roller for all the features and free online videos you can get. If you’re looking for a foam roller that is trusted by physical therapist, coaches, athletes, trainers, and massage therapist, this is the foam roller to give a look at. The reason I am stating this is that its been tested and performed at the highest aptitude. Plus, it will not cost you much to have! 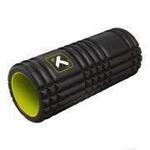 One of my favorite features of this foam roller is its durable construction. You will not have to worry about it breaking or wearing down on you easily because of this. It’s multi-density EVA foam exterior over a rigid and hollow inside core will take repeat use after use and still maintain its original shape! Very established pattend design prevents distrust and honesty with the service of it. You’ll be able to see how the surface pattern is ideal for rolling through tight muscles, knots and kinks. Once you roll on it, you’ll immediately feel pressure relief, decreased muscle and joint pain, increase your blood circulation, improve flexibility, improve your range of motion, and attain . a better balance. The foam roller is very reliable and easy to use. This is another feature that makes sure you can roll through it with your legs, upper, lower back, without falling, or being able to get in motion. This product also comes with Original GRID: Standard density, 13 x 5.5 inches, 500 pound weight limit; 1 year manufacturer’s warranty. Another reason why its so trustworthy and a must have for all of us workout enthusiast. Now, lower back pain is not solely because of your lumbar, much of it has to do with your joints and muscles. When your lumbar spine hurts, your joints will suffer, and if its your joints that are inflamed first, then your spine will follow. 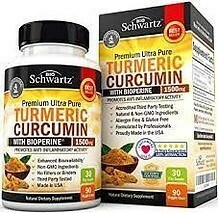 If you’re in the market for the best natural supplement that will give you both supreme targeted pain relief while keeping your inflammation away, then look no further than Turmeric Curcumin with Bioprene. Turmeric will aid in inflammation recovery, curcumin will make sure you get enough to drive your inflammation away, while bioprene will ensure the strength and maximum amount of the cumin reaching your area of pain. One of my favorites features of this natural supplement is its 1500mg of Turmeric Curcumin with a 95% Standardized Curcuminoids per every serving- which is the highest potency. And 10 mg of bioprene for a near perfect enhanced absorption and bio-availability. Highest quality ingredients prevents you from feeling pain and going time and time again with aches and pains. You will not have to worry about not getting the right mix of ingredients to decease your inflammation because of this. The black pepper combined with turmeric is what you need for good curcumin supplements. Plus, they only use pure and raw ingredients in all their formulas. Once you take a supplement, you’ll immediately feel the lasting effects of the curcumin running throughout your body to drive the inflammation fast and effectively. The pills are easy to take and are very effective. This is another feature that will make sure you get the easiest way to digest them, and get every Milligram of turmeric and curcumin available. This Product is also third party tested, another reason why its trustworthy and a must have. 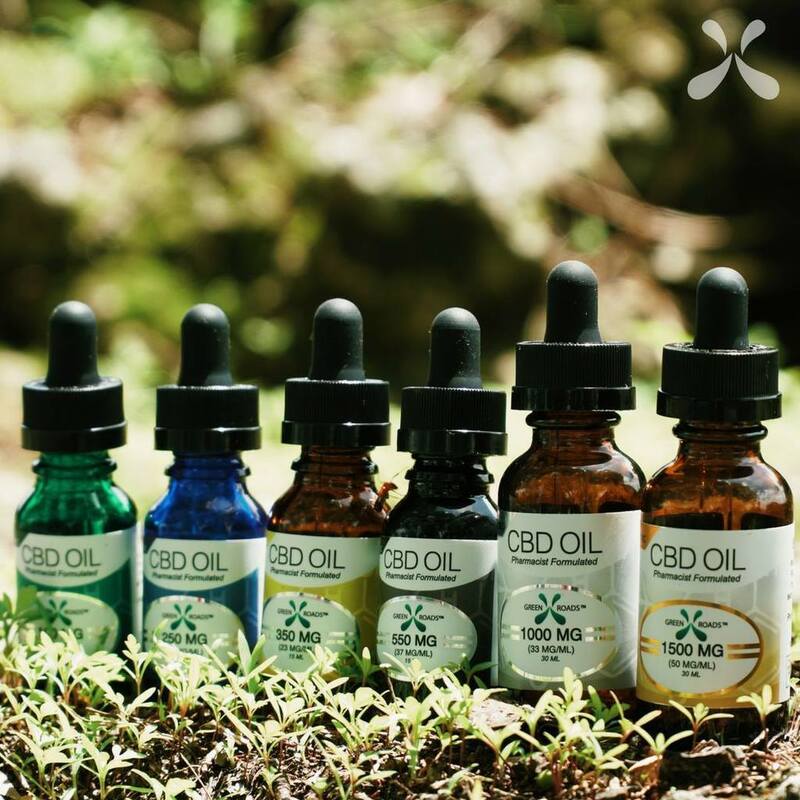 It’s no surprise how natural medicine is taking over the world by a huge storm, and there’s no better way to reduce Opioid and Physical pain quite like CBD Oil. 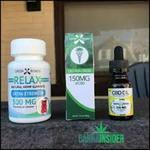 Green Roads generous 550 milligrams(mg) CBD Oil is the best choice there is, and it’ll help calm your nerve tension, muscle pain, decrease inflammation as well as help calm you emotionally. My favorite feature of this product is its 550mg strength that literally carries zero THC in it. You won’t have to worry abut running low fast, and with the purity of the bottle because of this. A sublingual oil infused with a vegetable glycerin base that is precisely crafted with pharmaceutical-grade broad spectrum cannabidiol (CBD) as well as 99% pure CBD isolate crystals. Once you take a squeeze of the dropper under your tongue, you’ll immediately taste the flavor of the Terpenes, In addition to the other compound CBD without any THC! This product also comes with Kosher-Grade Vegetable Glycerin. This is just another reason why this CBD Oil is convenient and a must have. If you’re in the market for one of the most purest essential oils in the market that all plants are grown without pesticides, herbicides, or any harmful chemicals, then look no further than Rocky Mountains Essential Oils. The reason I say this is that there are only natural fertilizers used so you won’t have to worry about getting sick or trying out toxic chemicals. One of my favorites features is the way they don’t use any solvents. When they go to extract and distill they only use solvents when necessary, like for vanilla and jasmine. You will not have to worry about getting the effects of CO2 because of this. Very Transparent oils prevents you from failing to choose the right selection. Every single detail is listed for each oil on their site. The oils are NOT heated, mixed with anything else, and non of that adulterated stuff. This product also comes with third party GC/MS tested. A personal handheld massager is one of the best ways to enjoy a luxurious massage with a super thereputic release, all without having to go in for a hands on massage. Most Personal massagers are built to tackle down big knots, muscle soreness and recovery with just the click of a button. One of the most popular and the best personal massager is Purewaves CM007 Dual Motor Percusion + Vibration Therapy Massager. These massagers are well known to deeply penetrate through your thick outter tissue layers with their deep and powerful osicllation, in other words they get right to the nucleus of your pain, to relax and soothe your muscles pre and post pain and sports. One of the best investments you can make for not only your back pain and inflammation but your overall health is supplying yourself with Proteolitic Enzymes. What are they? They’re like an in-built security home system that triggers once someone tries to burgalirizee your place, the cops come in a pack to help and rush them out. These special enzymes drive your inflammation away with an ingredient known as fibrin, which is the scar tissue that builds up when you get inflammation. Having some fibrin is good, but too much can signal danger…. As you get older(specifically over the age of 27), your body loses its natural ability to produce Enzymes and so you can cause faster wear and tear to your joints, muscles, ligaments, and tissues. The best way to counteract that is with giving your body more of this natural ingredient. “Docotrs’ Best” Proteolytix Enzymes are the quick and long term fix to ease your herniated disc, joint pain, muscle discmofort, alomng with arthritis pain, and put you back to your old smiling ways. It’s better to be safe than be placed in harms way in the future, and now’s the time to act. Read Read and Read some more! As a recovery patient I can tell you that there is nothing stronger and more bonding than knowledge, and turning that knowledge into action. In Dr. Sarno’s awesome book, he speaks how our emotions are responsible for most physcial triggers in our body, and the parts we feel. Not to get it confiused that everything is all in your head but if you can shut off this one thing called TMS, then you’re going to save yourself years and time spent just using one conservative treatment after the next, and so much time in chat forums looking for answers. I personally want to give you this book for Free along with 2 of the other best books in back pain. A Back Brace is a quick fix, and they should be used with extreme caution, and only for a short period, but its better to note how extemely helpful they really are. I enjoy having one around because I never know when I’m going to tqeak my back out again and I can’t risk taking the day off to sit and let my body weaken even more. My favorite lower back brace has to be the Mueller Lumbar Support Brace. You’ll be able to finish simple tasks without trouble. Sleep as if you were on a cloud. There are different materials that you have to factor like Memory foam, UltraPlush, cotton, and many more, but from my experience and the many people I’ve helped over the years find long lasting sleep and stay away from aches and pains in the morning is a Memory Foam one. With A Memory Foam mattress like the one with Nectar, you’re going to get premium quality, a luxurious sleeping experience, mixed with pressure point relief and comfort so you can relax and sleep in peace. The breathable base layer makes it easy to rest on for hours without getting your back sweaty from heating up. This ensures you can take care of your mattress for years to come and it’ll take care of you too. If you’re in the market for a very affordable massage chair with premium quality, and one that can deliver specialized zone and body control than you should consider a Homedics Mixed with Shiatsu Massage chair. 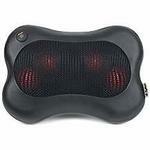 Many consumers love Homedics and so many more can’t get enough of a Shiatsu style massager product. They are very reliable, easy to use, and with most of these they beat the cost of buying a more traditional senses massage chair. These are the new thing, and they are really outstanding. I constantly need a massage and one way to beat the rush to go into a massage therapist is to use a massage chair for all around back and body massage in one sitting. If you’ve heard of Herman Miller give yourself a pat on the back, but if you haven’t don’t worry, you’ll be wishing you could have patted yourself earlier with the rest of us. This one Herman office chair specifically is designed to mimic your human back, it has a central spine and flexible ribs so it makes moving really effortless and safe. Out of all the herman miller variations, this one is designed well for sitting in front of a computer and gaming! Last but most definitely not least is a memory foam contoured pillow. Poor sleeping habits are the result of neck and even back pain. There are many pillows for every type of sleeper in the market today, so it’s important to talk with your doctor to find out which might be the best for you. I recommend and it’s recommended by professionals to sleep on your side instead of your back or stomach as that can add more pressure to your abdomen and back. Keep trying different pillows if you have to or simply just try one that never disappoints which is the Sleep Inovations Contour Memory Pillow. Now that I went through all the premium treatments for your back pain with every product in their respective category, I’m going to give you more treatment reviews! Everything you’ve seen to this point is the best from their own respective categories, and this list above will show you the other best treatments in their own category + more options! To learn more about them, just click on the link in the bullet points above. We’ve made it through the thick and thin of this article, from the four pillars of treatments-exercise, eating right, cognitive thinking skills, and consuming natural remedies. These are by far the best routes you can take for improving your overall health, and turning your lifestyle back to your glory old days. When considering a back pain treatment, just know that not everything will fix the problem, most treatments are an addition to relieving your symptoms and providing you a more short term relief, as opposed to long term. Conservative treatments as such as the ones we just covered can help you in your journey to control and manage your upper and lower back pain very well, and can easily help you adapt to any circumstance that you are in. If you’d like to find out what your best chronic lower back pain treatment options are as well, you can do so by checking out our Chronic back pain article here. I hope this article helped you out, and if there is something that you think I’m missing, or if you have a comment you’d like to share with me, please leave it in the comment section below. I will get back to you within the first 24 hours. Thank you! Hi Michael, and thanks for this awesome article. So many wonderful alternatives to medication. My husband and I are getting older and we struggle with occasional back pain. We hate taking medications, so we purchased a tens machine recommended by our physiotherapist, and it’s worked wonders. Heating pads are nearly as important, lol. We haven’t tried the pain creams as of yet, but my 80 yr old mother uses a roll on one for her back and loves it. You are very welcome! Yes, there are many different conservative treatments, and while they can provide a short term relief like medication, if you use these often you will begin to feel a lot better with time; something medications can’t replace. For example: the longer you use your seat cushion, the less you’ll need to turn to NSAIDS, use stronger painkillers as often, and you reduce your chance of causing more damage to your back and mind. There you go, great job. I’m happy you’re not using medications no longer, they can be a huge disturbance. Tens machines are a great relief, they really know how to get into your deep tissue and target your muscles for instant relief. As heating pad has a similar affect with the added bonus of getting more blood circulation and nutrients to the area of pain. Pain creams are awesome. I have more in mind besides the one just listed(penetrex) but penetrex is the best for chronic joints and does the job for muscles. Some of us might have a slightly different interpretation of beat back pain treatment products, but this one had to be of importance because back pain can get really bad, and the joints are the last wall of defence, and when that gets constantly hit, lower back pain stays persistent, hence chronic. This is a very comprehensive and interesting article. I actually agree with you that diet, exercise and cognitive behaviour are the keys to back pain and are often more effective than drugs. However I’m slightly surprised by your statement “Medical professionals like Doctors, and even other government agency websites on the online world are “promoters” of harmful chemical drugs…BIG PHARMA is just one smile around the corner. It’s amazing how many agencies and people can advocate for these big pharmaceutical industries, but money talks am I right?” Are you implying that doctors somehow make money from prescribing medications? I’m not sure where you’re based but certainly in the UK doctors have government targets (QOF targets) to reduce their prescription of painkillers and practices receive a financial reward from the government for meeting those targets and getting more people off medications. Not really a ‘big pharma’ conspiracy, just professionals trying to do the best for their patients. These are the main categories and disciplines that go Into ensuring your back will not only recover but better as they are implemented. It’s still surprising to me to see how medical professionals can endorse and do at times promote these harmful chemical drugs.And it’s not like they are being told to do so, it’s just the industry standard for them to do so, it’s their job to promote anything streamlined like these drugs. But because they don’t always have a great understanding of more natural alternative medicine, that’s where they can come crashing- these natural remedies are just as useful and even better. I understand from a quick medical point of view that painkillers are the first line of defense, but I also think these patients should be monitored and in ways given incentive to try other natural remedies rather than ramping them up to another higher dosage drug. I’m not saying that doctors are somehow making money from prescribing medications, but it’s just protocol for them to direct patients to painkillers. They’re just doing what they are asked to do-help the individual. I’m based in the US, and that’s interesting, I didn’t know much about that in the UK, I’m really happy to hear this. We need to adopt a similar system here in the US. I hope that my answer made a little more sense. Let me know if you have further questions/concerns. Thank you! Hello Micheal, thank you for the excellent website, and for caring about back issues. I have never trusted chiropractors as a long term solution, and every doctor I’ve seen just prescribes meds. When I have gone both routes and still struggled with pain, I was left with only alternatives. I only wish I learned about these alternatives sooner. Currently yoga has been succeeding in relieving my back pain as well as other issues. The foam roller did catch my eye and i might check it out. The joint supplements I had no idea could help back issues, this was very good information. I appreciate that, but really I want to thank you for being here today. Back issues are very common, and I want nothing more than to help acute chronic lower back pain patients succeed to the fullest. Oh really? Chiropractors are a great “quick fix” and I would agree with you as well. The thing is that they don’t understand your back as well as you do. That’s the one problem with getting constant checkups, it’s up to you as the person with pain to understand it better and reduce it on your own time, so that way a chiropractor doesn’t have to be counted upon. I’m sorry to hear that you’ve been back in forth with this and pain meds, absolutely two big reasons for on going pain. Yeah, there are many doctors that are helpful and they want to do what’s right for their patient, but a lot of the time they enhance the vision of big pharmaceutical companies, and they are can’t be blamed 100%, but must be held accountable to a degree. Like the other day, just doing my further investigation into websites like WebMD, another big health online company, they are trustworthy with their information, but gather partnerships with pharmaceutical companies and other writers to create their content and promote weight loss meds/supplements and painkillers that they don’t know how well from an experience point of view will work. Yoga is actually the best thing you can do for your back pain, and when it gets worse, yoga is really a must. It has everything from stenthening to flexibility and a peace of mind. You can’t move much without it. The foam roller is great, I have one similar to it and it does everything I need- it loosens my muscle knots, and creates better blood circulation between blood vessels. Yes, supplements can help, but they have to be the right ones. Trust is always key, and I don’t put anything out there unless I’ve tried it or know it well enough to do so. In the latter stages of back pain – chronic and sciatica, a supplement like the one above with turmeric is the way to go. Your joints with chronic and sciatica pain usually take on all the pressure in your joints and the nerve- forget how bad the muscles are. Awesome!